Last year at this time Mischa and I walked to the Carolinum clinic. I had seen an exhibition there and suggested Mischa that perhaps she could have one of her pictures shown there too. We were heartily received by the ‘Hausdame’ there. And the result was that an exhibition for us both was scheduled for the first of march to the end of September in the year 2013. That looked at that time far away but as time does not halt it became time to bring Mischa’s framed pictures with us in the autumn and at the end of December to have mine printed and later framed as well. At the end of February Piet Hein and I took all the 30 pictures to the Carolinum and together we put them up. We were satisfied with the result and on Friday the first of March there was a little vernissage. The clinic director Karl-Georg Dittmar-Stern spoke some very nice words. And it was due to the Housekeeper Antje Bürger that everything had gone smoothly from the beginning. It was a small but enthusiast gathering that I will not soon forget. In the local papers as there are the Westfalen Blatt, the Hessische Niedersächsische Algemeine and the Beverungen Rundschau articles were published with the announcement of the exhibition. Today a praising article in the Beverungen Rundschau came as a big surprise. Masterly photography is the title. How wonderful is that? Our vision upon nature seen through our lenses was highly recommended to look with open eyes and see more of the wonders of nature. We heard the news on our walk and with renewed zeal took pictures of the beauty we saw around us. Masterful indeed! This is a stunningly beautiful photograph. Well done to you both. What wonderful news for you and Mischa. Great to have such marvellous publicity. Very well deserved as both your photographs are among my favourites here on Blipfoto! Wish I was closer so I could come and see it in person. Congrats, both of you, on your first exhibition! 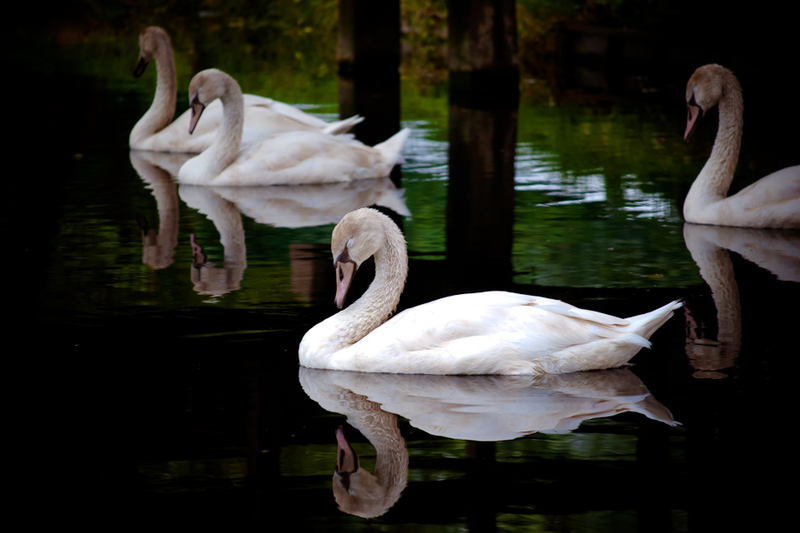 Love this photo of the swans – it’s simply beautiful.